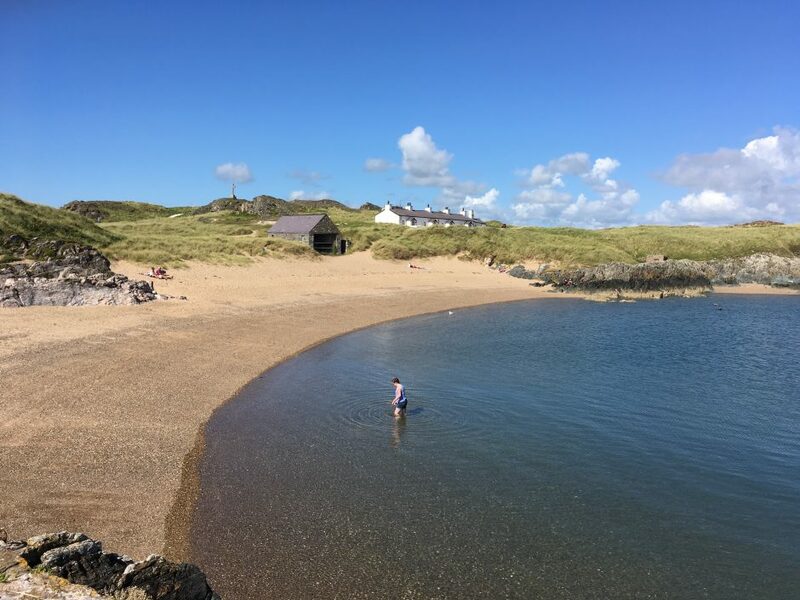 The island of Anglesey or Ynys Mon in Welsh has many wonderful places to visit but none are more special than Ynys Llanddwyn. 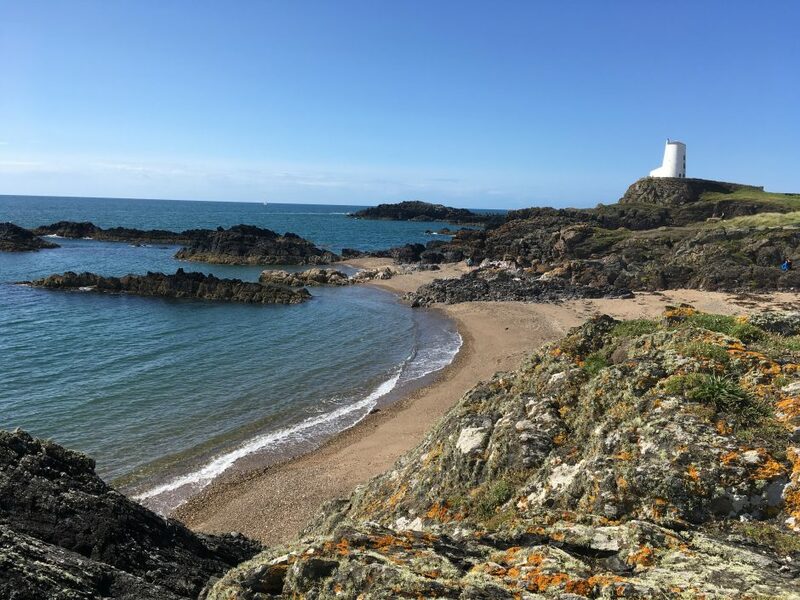 It is a small island that lies off the southern cost of Anglesey. 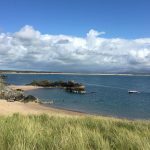 It is quite easy to walk over the shingle and sand from the main beach at Llanddwyn to reach the island at low tide. 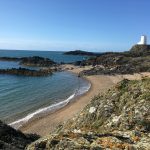 There are some lovely beaches and sheltered coves as well as the remains of a church. 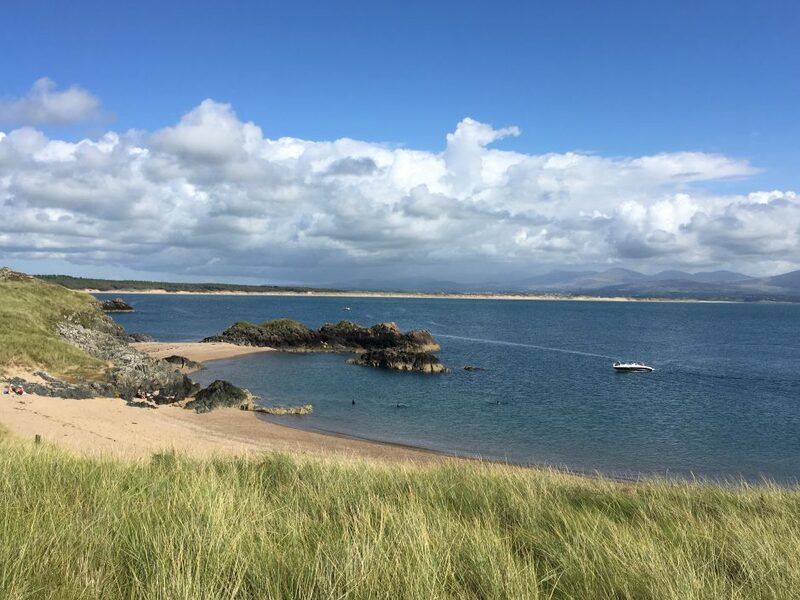 The main beach at Llanddwyn, from where you start a walk of about 45 minutes for the island itself is reached by a long drive down through a forest planted over sand dunes. 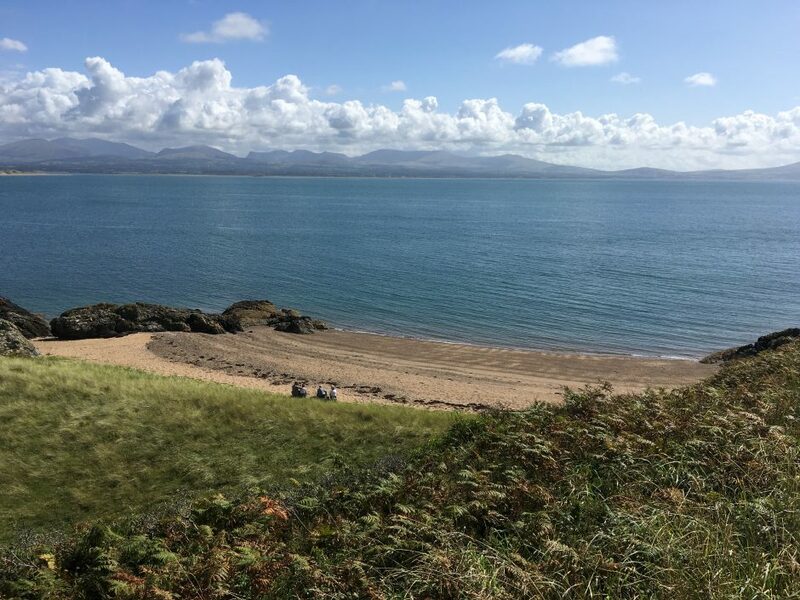 It is a walk from the car park at the bottom to the beach which stretches for several miles north up towards the island and south towards Aber Menai point and the mouth of the Menai Strait. 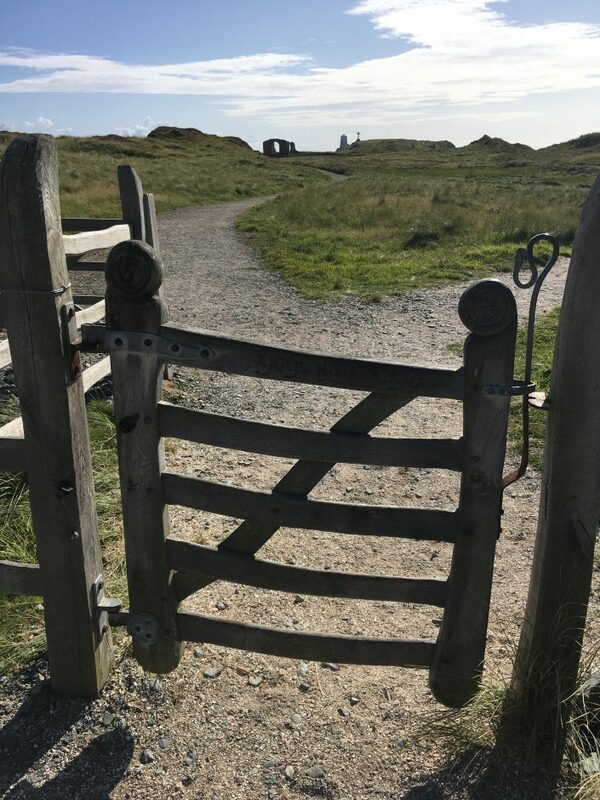 History has Llanddwyn as the home of St Dwynwen the patron saint of Welsh lovers and over the centuries it has been a place of pilgrimage. 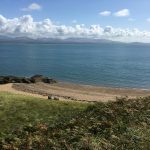 At the far end of the island are cottages that were once used by the pilots that helped steer ships into Caernarfon and negotiate the Menai Strait. There is an exhibition in the cottages showing the tough harsh life that the families who lived on the island had to endure. An old lighthouse, used years ago in half light a film featuring Demi Moore stands proud on a outcrop of rock. 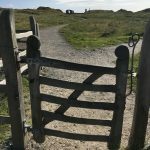 It has been disused for many years. 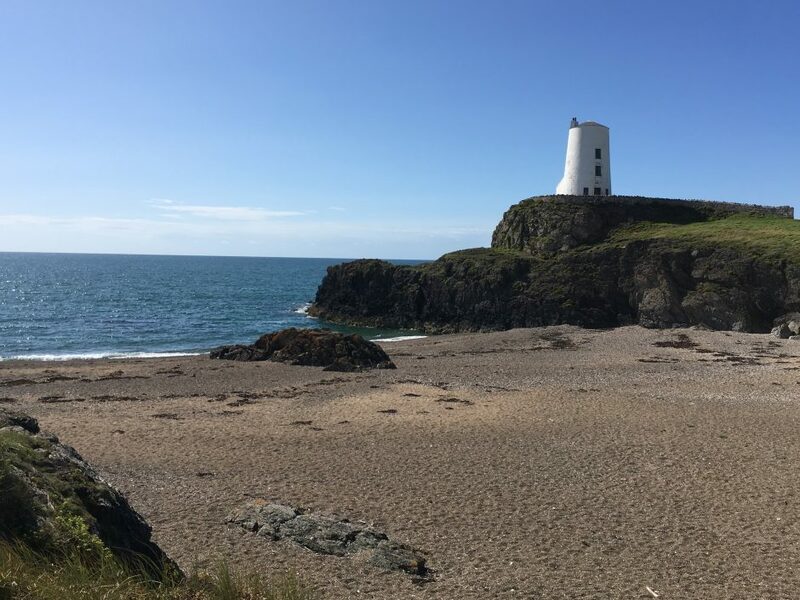 There are several walks around the perimeter of the island that give you a glimpse of the rugged coastline the beaches and standing by the disused lighthouse you catch the wonderful view down over the open beach towards Malltraeth and then over towards the Lleyn peninsula. On a clear day’s when the weather isn’t too rough it can be wonderful to see the scenery. But even when it’s raining the island seems to have a magic that can raise the spirit. 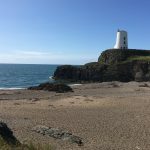 The two links below give you a little bit more history about Llanddwyn island and Anglesey that I hope you’ll find interesting. 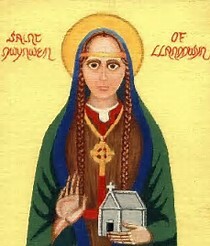 Dwynwen even has her own Wikipedia page. 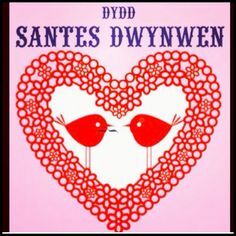 On 25 January every year St Dwynwen’s day is celebrated as the equivalent of Valentine’s Day. 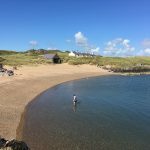 The photographs in the gallery are a collection of pictures that I took at the end of August when the weather was nice and the water warm enough to swim in.